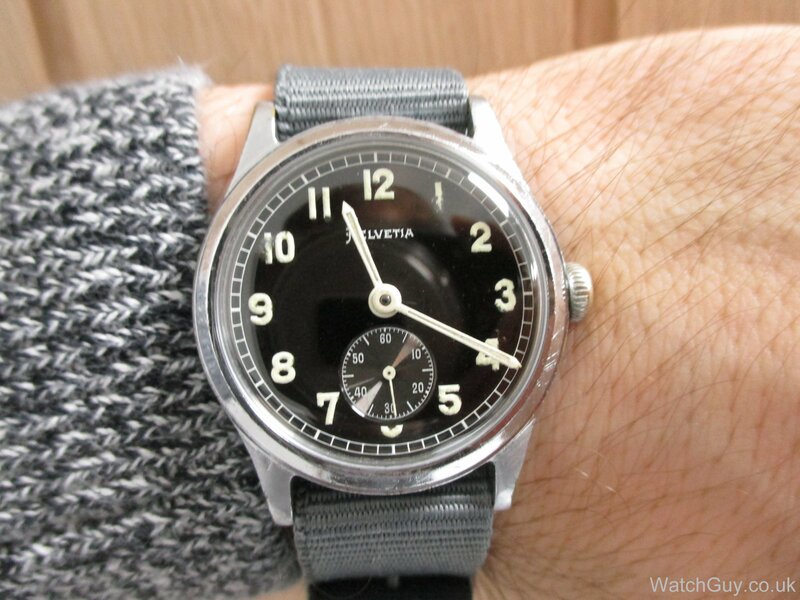 Helvetia calibre 82C | Mitka's vintage watch service. 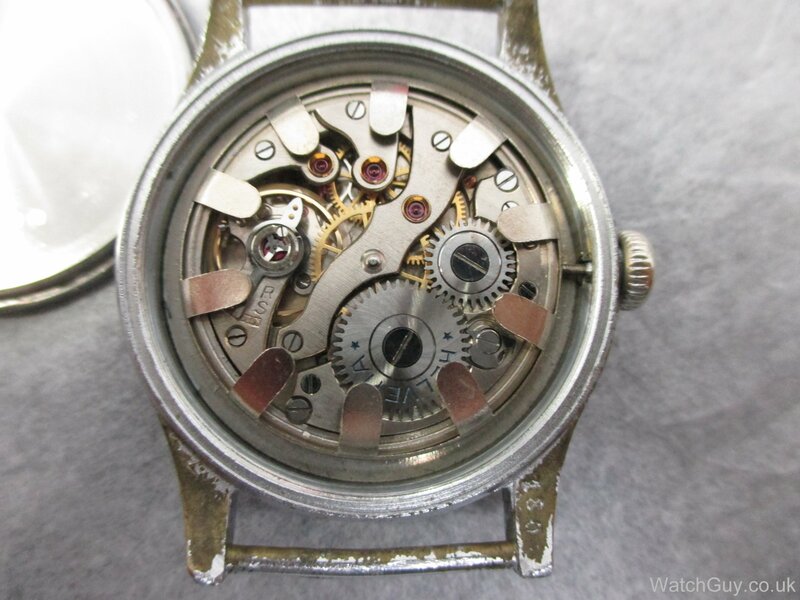 Dial is in very good condition, some signs of age. 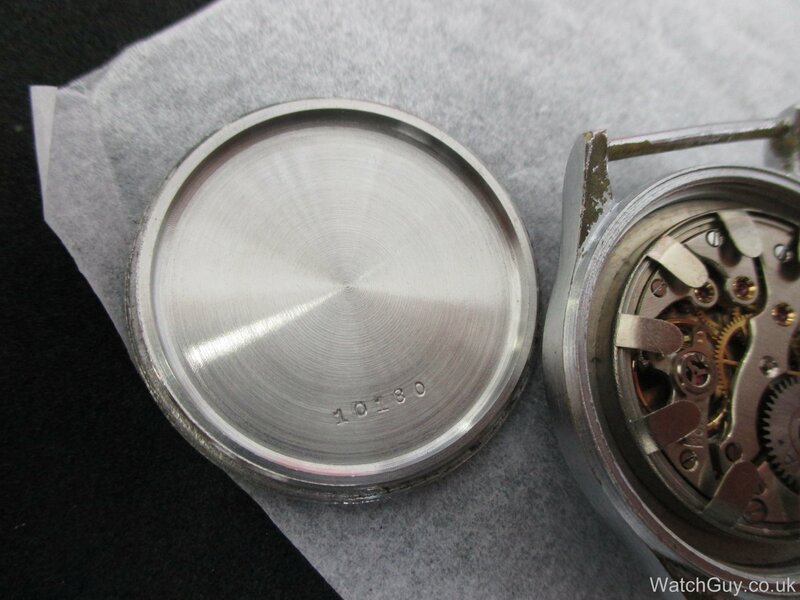 Case has some wear and tear, but that is what’s expected from a military watch. 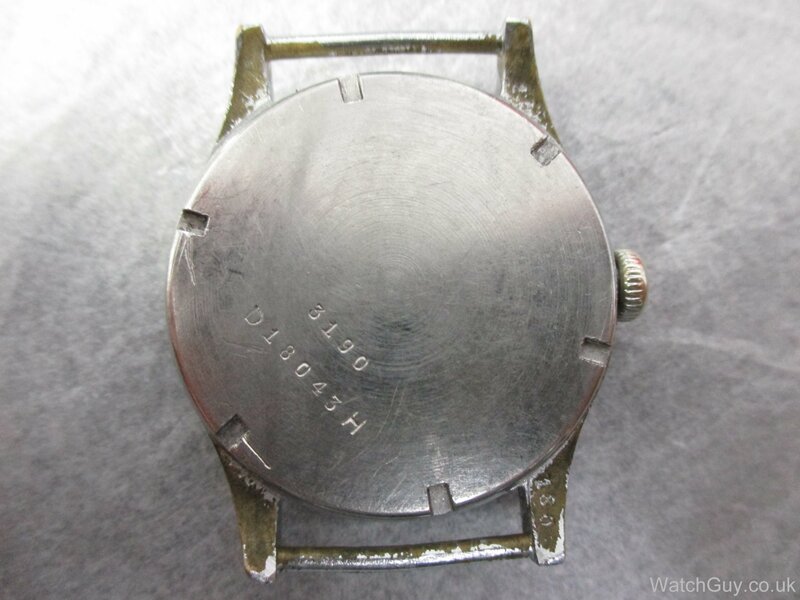 Case back has two scratches but otherwise in great shape and you can clearly read the serial number. Watch looks very nice on the wrist! Click on image for restoration blogpost.